Yesterday the Department of Veteran’s Affairs released a press document showing a proposed budget for FY 2017 by President Obama. The sum? $182 billion. Of interest to Veterans who have filed claims is the additional money allocated to fix the ailing VBMS system. A system that was introduced years ago to streamline the filing and appeals system and reduce the overall backlog of appeals. Somehow, the White House is siding with the VA in determining that throwing more money towards a broken system is the fix, rather than analysis and replacement. This “solution” sounds like another big project by the VA that has failed to impress or even be completed near the original budget. What might you ask this project or item be? The Denver VA Hospital. A Hospital that was supposed to be completed last year. A hospital that is more than $1 billion over budget. What is troubling about this new appeals process request? The VA wants more money for less work. Yes, you read that correctly. Under the new alternative appeals plan, the Regional Office only issues a Rating Decision 1 singular time for the appeal. Once you appeal that decision, all handling of the claim is sent straight to the Board of Veteran’s Appeals. Oh, and you have no option for a hearing either. They approve or deny your claim solely on the record as it stands. Essentially the VA is asking for $46 million dollars over the original budget for appeals processing to skip regional office adjudication and allow the Board to do the job they are doing right now. It is basically a meritless raise. But why should we expect more from the VA when cost-overruns are the norm? 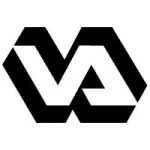 One can only hope that the VA actually turns a new leaf and brings down the monumental backlog of appeals in a fair and impartial manner with this massive budget increase.